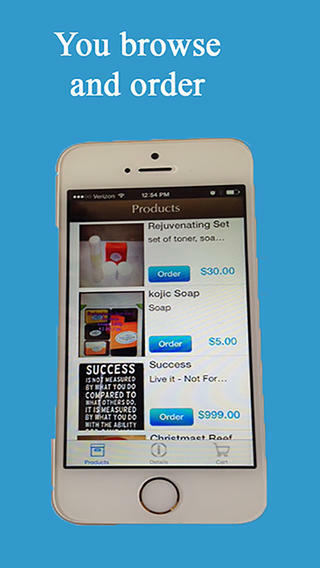 JW myBiz is an easy to use m-commerce app. You browse our products, you order and see details, add to your shopping cart, checkout and pay by iPhone with Visa, Mastercard, American Express and Discover credit cards. Designed for use in iPhone 5 or later models running iOS 7.x.x ONLY. Older iPhone models may experience slow and/or truncated screens shots. Author:Wilfilio Alvarez. View more by this developer.